Got a bucket? You’ve got a drum! 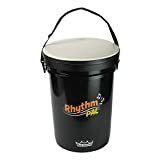 The Remo Rhythm Lid snaps onto almost any 5, 6, or 7 gallon pail, instantly turning it into a great sounding portable drum. Use it with sticks, or as a hand drum. 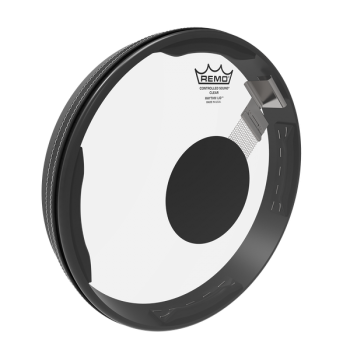 The Remo Rhythm Lid is a pre-tuned drumhead, designed to fit U.S. made 5, 6, and 7 gallon buckets. 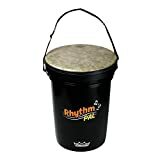 Simply press the Rhythm Lid drumhead onto the bucket, and it will seal nicely to create a versatile drum. 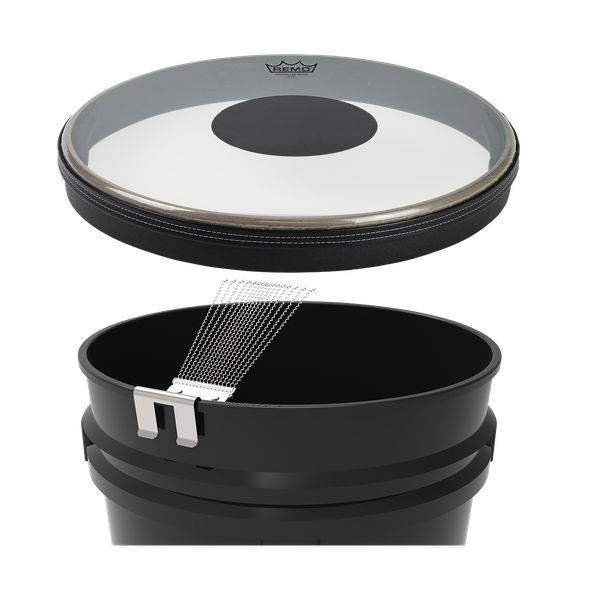 There are different versions of the Remo Rhythm Lid available (see below), each with different sounds and different features. 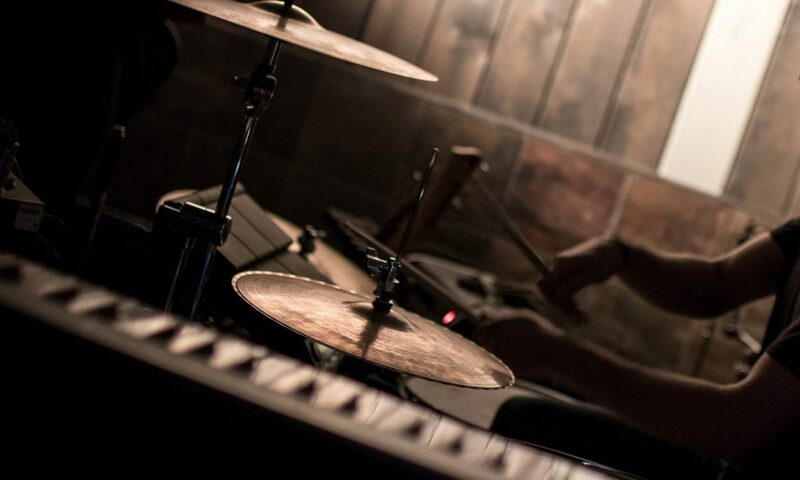 Rhythm Lid drumheads are perfect for parties, street performances, parks, drum circles, educational use, and anything else you can think of. Store your sticks and other equipment inside the bucket for a super portable setup that you can take anywhere. The Controlled Sound Rhythm Lid is a clear drumhead, with a Controlled Sound center dot for extra durability. This version also comes with a removable snare wire clip, giving a nice snare snap to each hit. 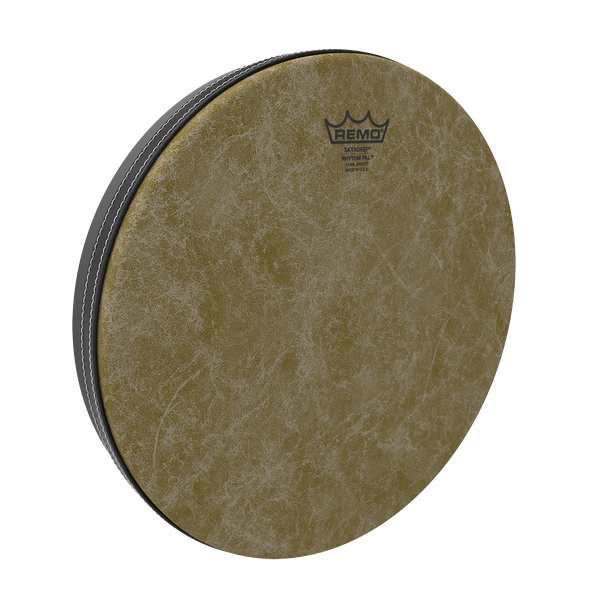 The Comfort Sound Rhythm Lid has a white coating designed to give a warmer tone. The Skyndeep Bright, Medium, and Dark range give either a bright, balanced or warm sound. The Skyndeep Remo Rhythm Lid heads also add projection and volume; the Bright version is especially good for louder situations. 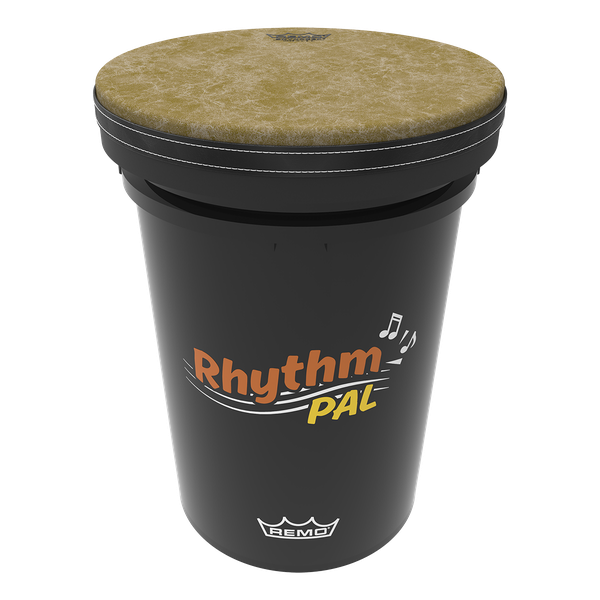 The Remo Rhythm Pal pack comes with a specially designed bucket, and one of the above Rhythm Lid drumheads. 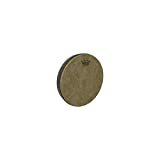 The Remo Snare Clip turns the Comfort Sound and Skyndeep drumheads into a snare, just like the Controlled Sound version. 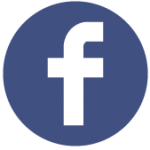 See the video below for more information on the Remo Rhythm Lid.